Draft: 2013, St. Louis Cardinals, 3rd rd. Graduated from Grove City (Ohio) High School where he played baseball and also lettered three years in basketball and two years in football ... Played college baseball at the University of Mississippi where he was 12-9 with a 3.43 career ERA over three years. Made two appearances in the 2012 College Station Regional and was the winning pitcher in defeating Texas A&M (6/2/12) ... Resides in Naples, Florida. Appeared in 50 games, ranking 14th among National League rookie pitchers...His 23 appearances Post All-Star Break ranked 4th among Cardinals relievers (Hicks 29, Hudson 26, Norris 25)...Missed 14 games while on the injured list (8/26-9/10) with right shoulder inflammation...Pitched on consecutive days 12 times in 2018, ranking 3rd on the Cardinals (Hicks 15, Norris 14)...Appeared in a season-high 11 games in the month of June...Inherited 30 runners (10 scored, 33.3%), ranking 2nd on the team in inherited runners (Hicks, 34)...Totaled six Holds on the season with five coming from 7/14-8/12...Was 0-1 with a 2.57 ERA (8 ER/ 28.0 IP) in 24 road app. and 2-0 with a 7.23 ERA (19 ER/ 23.2 IP) in 26 home outings...Threw 20 or more pitches in 14 of his 50 relief appearances with a season-high of 49 at MIL (5/28)...Threw 48.1% of his 908 total pitches at 95 MPH or higher with 39 pitches at 98 MPH or higher, 2nd-most on the Cardinals (Jordan Hicks, 992)...Made 11 appearances of four outs or more, 2nd on the Cardinals behind Hicks (17). • Was scored upon in only three of his 10 August appearances...Was 2nd on team with 12.0 IP in relief during July in his 10 appearances, trailing J. Hicks (14.0 IP/12 games)...Worked 3.0 IP on 5/6 vs. CHI in 14-inning game and earned his 2nd MLB win...Made five scoreless relief appearances at Memphis (AAA) totaling 7.2 innings with eight strikeouts and three saves...Started and pitched 1.0 inning in Game 4 of the Pacific Coast League Semi-Finals for Memphis (AAA) on 9/9. Spent the majority of the season with Memphis (AAA) but was recalled to St. Louis on three separate occasions (6/25-7/2, 7/26, 8/18-19) ... Made three MLB relief appearances (4.2 IP) striking out at least one batter in all three. Threw a season-high 3.0 IP 7/2 vs. WSH ... Was 5-6 with a 3.71 ERA in 15 starts at Memphis covering 80.0 innings, while posting a 2.12 ERA in 16 relief appearances over 29.2 innings ... Was converted from a starting pitcher to a reliever following the Triple-A All-Star Break after 15 starts ... Posted career-highs with 109.2 innings and 97 strikeouts ... Pitched a season-high 3.0 innings in relief twice: 7/27 vs. Salt Lake & 8/5 at Tacoma ... Struck out a season-high 10 batters over 7.0 innings in a win vs. Omaha (6/3) ... Made five relief appearances during the Pacific Coast League playoffs. Recorded a win and two Holds in 10.0 scoreless innings, allowing six hits, three walks and striking out nine. Appeared in four games for the Cardinals (one start), and earned a September call-up during his Major League debut season...Made his Major League debut on 7/24 on ESPN Sunday Night Baseball vs. the Dodgers. Allowed nine runs on eight hits over 1.1 innings in a 9-6 Cardinals loss. The nine runs were the most by a Cardinals pitcher in his MLB debut since Mike Busby (4/7/1996 at ATL). The six runs allowed in the 1st inning were the most by a Cardinals pitcher in his MLB debut since Bob Vines (9/3/1924 at PIT)...Became the first Cardinals pitcher to make a start in his MLB debut since left-hander Tim Cooney (4/30/15 vs. PHI), and first pitcher to make a start for the Cardinals in 2016 who was not a part of the team's starting five from the Opening Day roster...Recalled to St. Louis (9/6) for a second time as rosters expanded. Made three relief outings (4.0 IP) and allowed seven runs over 4.0 IP...Earned a win in his second Major League appearance, tossing a scoreless inning of relief at PIT (9/6) in a game the Cardinals rallied to win 9-7 at PNC Park on three 9th inning home runs (M. Carpenter, R. Grichuk, J. Peralta)...Combined to make 25 starts between Springfield (AA) and Memphis (AAA), going 9-10 with a 3.19 ERA in 144.0 innings with 127 strikeouts...Threw 6.0 or more innings in 12 outings (10 quality starts)...Finished among Cardinals minor league leaders in wins (T2nd, 9), strikeouts (2nd, 127), innings pitched (4th, 144.0), starts (T5, 25), ERA (6th, 3.19) and average against (8th, .246)...Began the season in Springfield (AA), where he started out 5-2 with a 2.30 ERA (54.2 IP) and 43 strikeouts in nine outings. Selected to the Texas League All-Star North Squad, but did not pitch due to his promotion to Memphis (5/31)...Threw 7.2 innings in his longest start of the season at Springfield 5/26 vs. Midland, fanning a career-high 10 batters on 100 pitches...Had his contract purchased on 7/24. At the time of his promotion, ranked among Cardinals minor league leaders in wins (T1st, 8), ERA (3rd, 2.62) and strikeouts (5th, 86)...Threw a 6.0 inning complete game at New Orleans (8/8), allowing one unearned run on three hits in a 1-0 loss. Received an invitation to Major League Spring Training and and made three appearances (1-0, 4.15 ERA)...split injuryshortened season between Springfield (AA) and the Gulf Coast (R) Cardinals, going a combined 2-4 with a 5.87 ERA (53.2 IP) and 43 strikeouts in 12 starts while recovering from two disabled list stints with right elbow strain injuries...primarily pitched for Springfield in 10 starts, recording a 6.56 ERA (46.0 IP) and 36 strikeouts...seventeen of his 34 runs were given up in the first inning of starts (15.83 ERA)...threw first professional complete game shutout at Arkansas, (9/2) allowing four hits over 9.0 innings. ..made a pair of rehab starts with GCL Cardinals, going 1-0 with a 1.29 ERA (7.0 IP) and seven strikeouts. Played first full season of professional baseball moving up the organizational ladder from Palm Beach (A) to Springfield (AA) and Memphis (AAA)...made a career-high 26 starts, registering a decision in 20 of them; hurled 6.0 innings or more in 20 of 26 starts...ranked among Cardinals minor league leaders in starts (26, T2nd), innings pitched (154.0, 3rd), strikeouts (117, T4th) and earned run average (3.39, 6th)...struck out a careerbest nine batters over 7.0 innings at Tampa (5/18) in a no decision ...induced 14 double plays (Springfield 7, Palm Beach 6, Memphis 1)...of his 12 starts in Palm Beach, 10 lasted 6.0 innings or more, eight were quality starts and he threw a six-inning complete game at Bradenton (6/12) in the second game of a doubleheader ...registered a decision in 11 of 13 starts at Springfield; of his 13 starts, 10 were quality starts of 6.0 innings...made one start for Memphis in the Pacific Coast League playoffs and took the loss vs. Omaha (9/6), allowing five runs over 4.0 innings. Pitched at the Gulf Coast League level (R) and Peoria (A), totaling 10 appearances & eight starts...made professional debut on July 2 at GCL Mets, tossing 2.0 innings in relief for a win...started all five games in Peoria and was 0-3, pitching 6.0 innings twice while registering quality starts...struck out a seasonhigh five batters vs. Burlington (8/23). April 16, 2019 St. Louis Cardinals placed RHP Mike Mayers on the 10-day injured list. Right shoulder lat strain. September 11, 2018 St. Louis Cardinals activated RHP Mike Mayers from the 10-day injured list. September 7, 2018 St. Louis Cardinals sent RHP Mike Mayers on a rehab assignment to Memphis Redbirds. August 26, 2018 St. Louis Cardinals placed RHP Mike Mayers on the 10-day disabled list. Right shoulder inflammation. June 8, 2018 St. Louis Cardinals recalled RHP Mike Mayers from Memphis Redbirds. June 5, 2018 St. Louis Cardinals optioned Mike Mayers to Memphis Redbirds. May 31, 2018 St. Louis Cardinals recalled Mike Mayers from Memphis Redbirds. May 30, 2018 St. Louis Cardinals optioned RHP Mike Mayers to Memphis Redbirds. May 10, 2018 St. Louis Cardinals recalled Mike Mayers from Memphis Redbirds. May 7, 2018 St. Louis Cardinals optioned RHP Mike Mayers to Memphis Redbirds. May 6, 2018 St. Louis Cardinals recalled Mike Mayers from Memphis Redbirds. May 1, 2018 St. Louis Cardinals optioned RHP Mike Mayers to Memphis Redbirds. April 27, 2018 St. Louis Cardinals recalled Mike Mayers from Memphis Redbirds. April 16, 2018 St. Louis Cardinals optioned RHP Mike Mayers to Memphis Redbirds. April 12, 2018 St. Louis Cardinals recalled Mike Mayers from Memphis Redbirds. April 9, 2018 St. Louis Cardinals optioned RHP Mike Mayers to Memphis Redbirds. October 20, 2017 RHP Mike Mayers assigned to Leones del Escogido. October 2, 2017 St. Louis Cardinals recalled Mike Mayers from Memphis Redbirds. August 19, 2017 St. Louis Cardinals optioned RHP Mike Mayers to Memphis Redbirds. August 18, 2017 St. Louis Cardinals recalled Mike Mayers from Memphis Redbirds. July 27, 2017 St. Louis Cardinals optioned RHP Mike Mayers to Memphis Redbirds. July 26, 2017 St. Louis Cardinals recalled Mike Mayers from Memphis Redbirds. July 3, 2017 St. Louis Cardinals optioned RHP Mike Mayers to Memphis Redbirds. June 25, 2017 St. Louis Cardinals recalled Mike Mayers from Memphis Redbirds. March 28, 2017 St. Louis Cardinals optioned RHP Mike Mayers to Memphis Redbirds. September 6, 2016 St. Louis Cardinals recalled Mike Mayers from Memphis Redbirds. July 25, 2016 St. Louis Cardinals optioned RHP Mike Mayers to Memphis Redbirds. July 24, 2016 St. Louis Cardinals selected the contract of Mike Mayers from Memphis Redbirds. July 24, 2016 RHP Mike Mayers assigned to St. Louis Cardinals. May 31, 2016 RHP Mike Mayers assigned to Memphis Redbirds from Springfield Cardinals. May 20, 2016 RHP Mike Mayers assigned to Springfield Cardinals from Memphis Redbirds. May 15, 2016 RHP Mike Mayers assigned to Memphis Redbirds from Springfield Cardinals. September 18, 2015 Springfield Cardinals activated RHP Mike Mayers from the 7-day disabled list. July 29, 2015 Springfield Cardinals placed RHP Mike Mayers on the 7-day disabled list. July 18, 2015 Springfield Cardinals activated RHP Mike Mayers from the 7-day disabled list. July 6, 2015 Springfield Cardinals sent RHP Mike Mayers on a rehab assignment to GCL Cardinals. May 14, 2015 Springfield Cardinals placed RHP Mike Mayers on the 7-day disabled list retroactive to May 13, 2015. 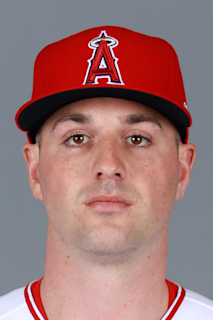 April 8, 2015 RHP Mike Mayers assigned to Springfield Cardinals from Memphis Redbirds. February 4, 2015 St. Louis Cardinals invited non-roster RHP Mike Mayers to spring training. August 31, 2014 RHP Mike Mayers assigned to Memphis Redbirds from Springfield Cardinals. June 19, 2014 RHP Mike Mayers assigned to Springfield Cardinals from Palm Beach Cardinals. April 1, 2014 RHP Mike Mayers assigned to Palm Beach Cardinals from Peoria Chiefs. April 1, 2014 Palm Beach Cardinals activated RHP Mike Mayers. July 31, 2013 RHP Mike Mayers assigned to Peoria Chiefs from GCL Cardinals. June 28, 2013 Mike Mayers assigned to GCL Cardinals. June 14, 2013 St. Louis Cardinals signed RHP Mike Mayers.